And wednesday means a product review day ^^. Last week I already said if I will post 2 entry every week, wednesday for review and sunday for tutorial. I just trying to be more committed in writing now :D.
I'm trying to browse about this company but I can't find their official website so I can't write anything about their claim of this product. Perhaps you can read their claim at their packaging (which I already rip off part of it). From the packaging this product remind me to their other product Vienna Peel Off Mask Purifying Black Mud. 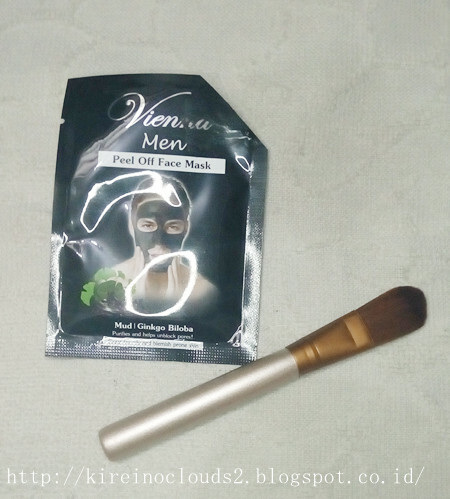 I think this one is male version from the Purifying Black Mud Mask. I was bought this one because this the only black mud mask that I found at lotte mart rack. And I just want to try what the different of this one with their female version that I was already tried. Texture wise, I can say that this one has exactly same texture with the female version. 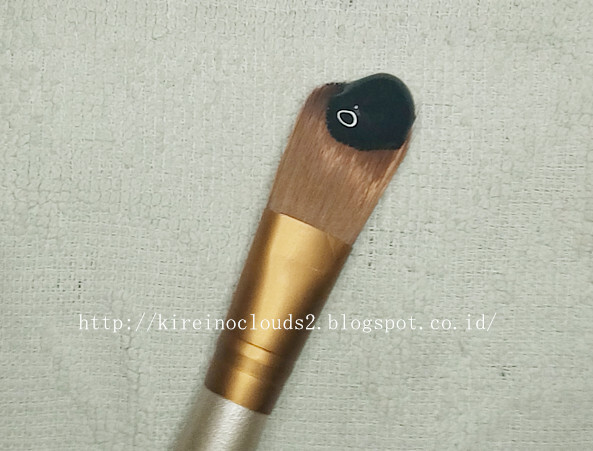 It has black thick liquid texture that you can apply to your face using finger or brush. And the scent of this product is totally same with their female version. So I'm just a bit confused, what makes this one different? and why the made a male and female version for this mask? Anyone here can help to answer my question? For application to be honest I prefer using small foundation brush than finger. You can apply this perfectly using finger too, but I use brush because it is less messy. You can apply this mask all over your face or only at part that you want to. In this post I used this all over my face except my forehead area because I have crazy break out at the moment. Just being wise, With forehead full off pimples if I use peel off mask there then it will be disaster when I peel it off. So, I let the forehead area free :P.
I love to use thick layer of it since it will make the mask easier to peel off when it dry. And it need at least 30 minutes to completely dry. After 30 minutes I just peel it off. It is easy to peel and not hurt my face at all. There's another local peel off mask brand that make me crying everytime I peel off the mask. This one is very easy to peel, so thumbs up for it :). I do read some other blogger reviewing the female version and said if the have a hard time t0 peel it off. They said it is painful and hurt their face. Idk, maybe they applied a thin layer of it so it hard to peel off ?! Because I don't have any problem peeling this off and the female version too. A lil bit tips, You should just apply thick layer of it so no more painful time when you peel it off. Tada....This is the result after I peel off the mask. I totally just peel off the mask and wash my face with water after it (ok, actually I had my eyebrow done but that's it). My skin look smoother and shiny after using this mask. oh fyi, I have an oily skin. And this mask is absorbing oil in my face and make it less greasy. If you expecting this mask to take of your blackhead or whitehead, hmmm....you will be disappointed. 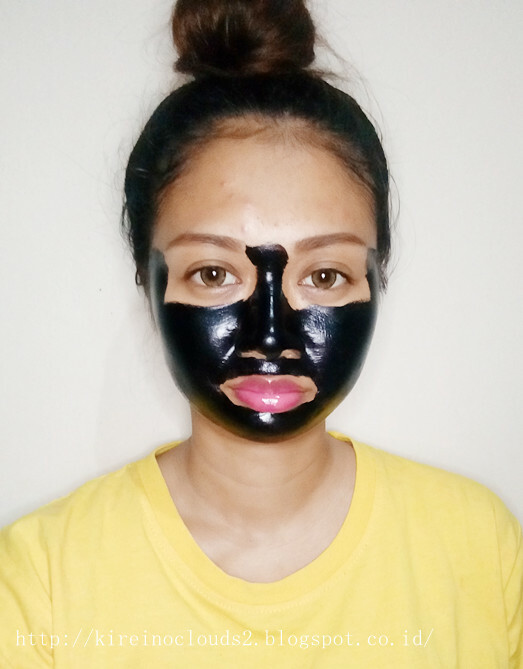 In my opinion this mask is not really work for blackhead and whitehead problem. Just use regular nose pack from biore if you want to get rid your blackhead or whitehead instantly (I still use nose pack religiously every week). Personally I didn't expect this will get rid my whitehead / blackhead so I'm kind of satisfied with this mask performance. This mask make my skin smoother and shiny (not greasy). 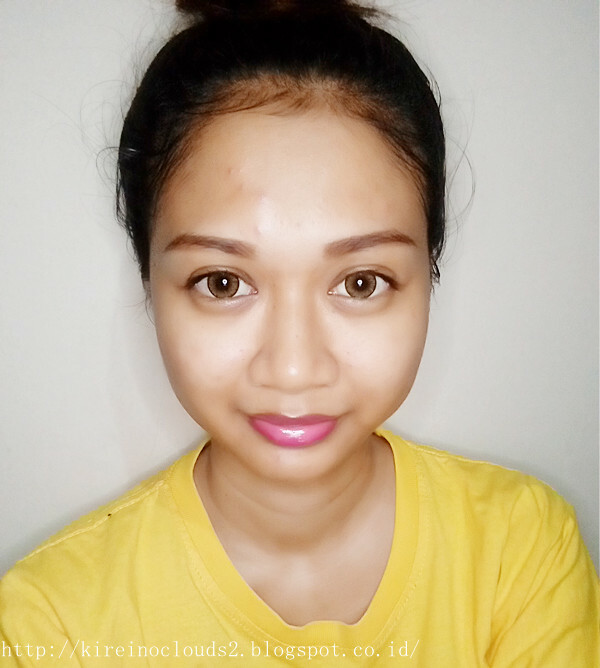 Whenever I applied make up after using this mask, I found my make up is look smoother and easier to applied. But well, in the end it will be depends on personal preference :). Yes. It's cheap and I like that it makes my skin smooth. aww that look like a very promising product! I can't wait to try mine! Try it and find if it work well or not ^^. I liked to use peel off mask too but after recovery from very bad breakouts, my skin oily skin became dry so I prefer mask sheet. 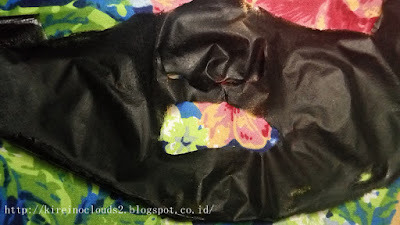 Klo kulitnya kering sih mending jangan pake peel off mask. Tapi yg ini ga tll ngaruh klo buat narik komedo. Kayakny karena mereka pakai tipis2 jadinya sakit pas ditarik ya, tapi jadi tau kalo lebih baik dipakai lebih tebal ^^b thx tipsnya! Iya jgn tll tipis, ntar susah mau nariknya. You look so pretty!!! Oh my! Emang kebanyakan sakit soalnya mungkin rambut2 halus di muka juga ikut ketarik. Dan kebetulan rambut halus di mukamu sedikit.